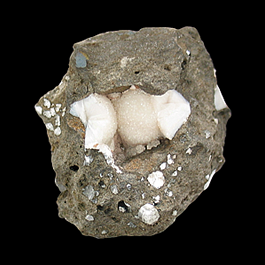 Fine crystallized Stellerites are only found in a handful of localities worldwide. 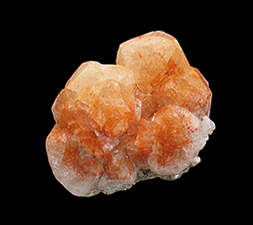 Stellerite is a species very close in structure and chemistry to Stilbite and can be mistaken for Stilbite. Both Stellerite and Stilbite occasionally assume a bow-tie-like form. 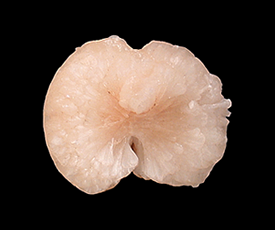 This specimen is an example of this type of formation taken to the extreme and in my opinion that sets it above the majority of examples of these types of specimens. The light-peach-colored Stellerite presented here has a good lustre and presents well in any number of different orientations. This specimen came to me as Natrolite on Petrified Wood and I guess that technically it is, as the rear of the specimen has a small stick of Petrified Wood embedded in it. This specimen feature a plethora of shimmering Natrolite crystals associated with amber-brown-colored crystals of Calcite. The minerals from this location are found in petrified wood fragments from a pre-Pleistocene ancient forest that clothed the Mount Elgon volcano. A blocky and well-formed baveno-twinned crystal of Microcline featuring many tufts of divergent crystals of Stilbite. 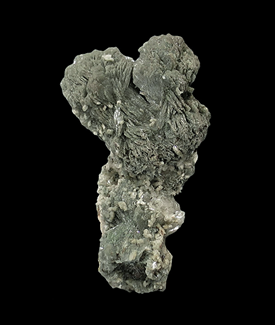 Also present on this specimen are several crystals of Epidote measuring up to 1.7 cm in size. 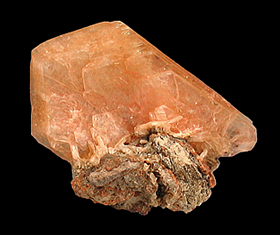 There are also several areas with a red-colored mineral which appears to be Chabazite. This specimen is a complete all-around floater with no damage. 6.7 x 5.3 x 3.5 cm. This specimen will play tricks on your eyes; depending on the light source it will look blue, blue-green or almost green-colored. The white patches are where the blue-colored Haüyne crystals have been replaced by the zeolite mineral, Gonnardite. Some of the crystals on this specimen are well-formed and some of them seem to have been almost totally dissolved. 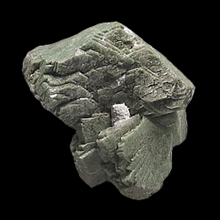 When these specimens first came out they were sold as Lazurite replacing Plagioclase. Closer examination and much testing has proven the blue & blue-green mineral to be Haüyne. 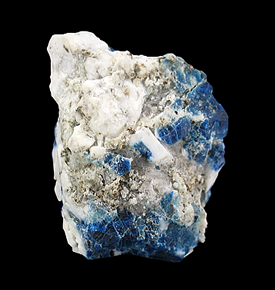 To be real Lazurite, it must be sulfide dominant and none have ever been found to be, so all "Lazurite" is Haüyne. 4.3 x 4.2 x 4.7 cm. 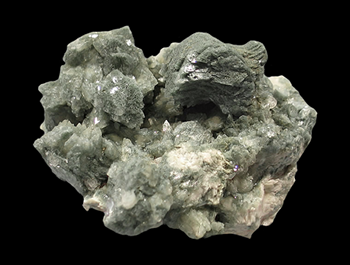 This attractive specimen features 3 radiating, acicular crystal aggregates of the relatively rare Zeolite mineral Thomsonite dramatically perched on a matrix of vuggy, Celadonite-coated matrix of Basalt. It is very unusual find Thomsonite crystals in this form. These specimens made quite a splash when they were first offered for sale in Denver in (I can't remember the exact year) 2004 or 2005. They don't look like any example of Thomsonite that I've seen from any other locality. 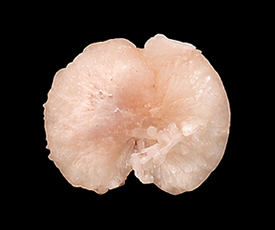 The front 2 spheres of Thomsonite are complete save for a small area of contact. Only The smallest sphere at the rear of the specimen is incomplete. 6.8 x 4.9 x 3.3 cm. A specimen of well-terminated, yellow-orange crystals of Stilbite measuring up to 8 mm on a basalt matrix. If you've been looking to score an New Jersey Stilbite on the cheap; here you go. 11.2 x 10.1 x 5.6 cm. This specimen has a lot of presence. 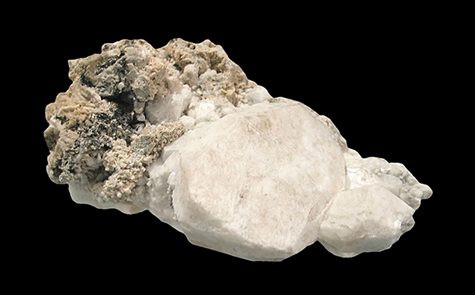 A cluster of lustrous Stilbite crystals seemingly propped up and held together by divergent sprays of Scolecite. 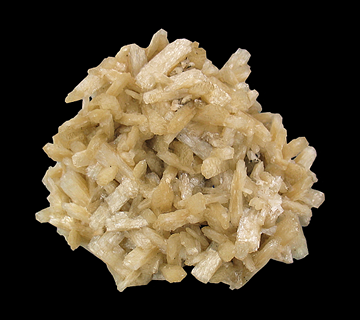 The Stilbite crystals are all double-terminated and have a pale, golden hue with the largest one measuring 5.5 centimeters. 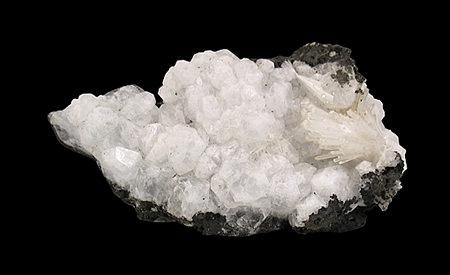 The sprays of Scolecite are bone-white and measure up to 5.8 centimeters. 11.5 x 6.4 x 4.6 cm. This specimen features a pair of bow-tie shaped Stilbite crystals included by the mineral Celadonite. I've seen lots of Celadonite included Heulandite crystals, but not very many of these Celadonite-included Stilbites. From what I have seen I have a feeling that there are not too many of these out there as I had to go through quite a few specimens to find this one. 8.1 x 5 x 3.1 cm. This specimen consists of clear to translucent crystals of Analcime measuring up to 1.2 centimeters on a matrix of Eocene pillow basalt. 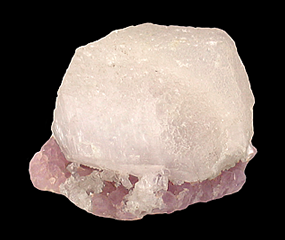 Accenting the Analcime crystals is a 2.6 centimeter spray of Natrolite crystals. 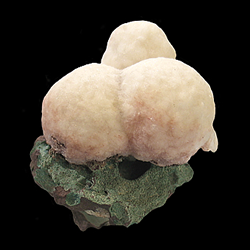 This specimen was collected in the 1990's by prolific digger John Cornish whom amongst other things brought us the peach-colored Heulandite crystals on snow-white Mordenite from Idaho. Most recently all of those stunning Crocoite specimens from Tasmania, Australia. 4 x 3.1 x 2.6 cm. A quite gemmy orange stained specimen of Analcime crystals to 1.4 cm. across. 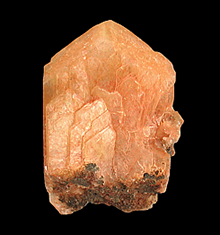 The orange-colored mineral inclusions highlight the geometric form of the Analcime crystals. 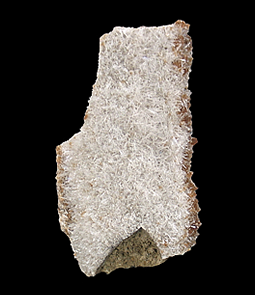 A very lustrous example of this Zeolite mineral. 3.5 x 4 x 3.5 cm. Here's one that in my opinion will be considered a classic in the future. Slightly curved and twisted Heulandite crystals included by Celadonite. These crystals have an extremely brilliant luster which many included minerals seem to lack. 10 x 5 x 4.5 cm. This large specimen, upon first glance, appears to be a rather typical-looking cluster of Analcime crystals, but this specimen is more than that. The dark gray region is composed of hundreds of 0.5 millimeter disk-shaped crystals of the rare mineral Synchesite-(Ce). (Ce is the symbol for the rare-earth element Cerium, for you non-chemists out there.) Although some are naked-eye visible, the Synchesite crystals are better viewed with a loupe or a microscope which also reveals a sprinkling of minute Pyrite crystals, especially along the edges of the Synchesite discs. 8 x 6 x 3.7 cm. Here's an example of a mineral specimen that in my opinion will be considered a classic in the future. 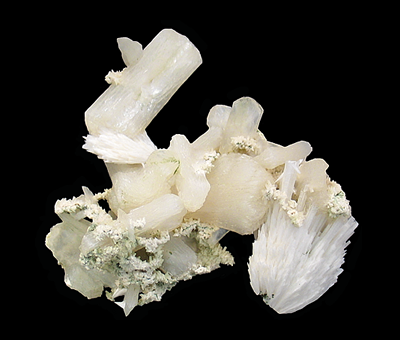 This matrix specimen features slightly curved and twisted Heulandite crystals included by the mineral Celadonite. These crystals have a brilliant luster, which many included minerals seem to lack. 4.4 x 3.1 x 2.1 cm. We've all seen so many Zeolite minerals pouring out of India that the specimens from other locations are often overlooked. This semi-remote mineral locality has produced some of the world's most lustrous, colorful and translucent Stellerite crystals as can be seen in this attractive specimen. 8.5 x 5.6 x 2.7 cm. 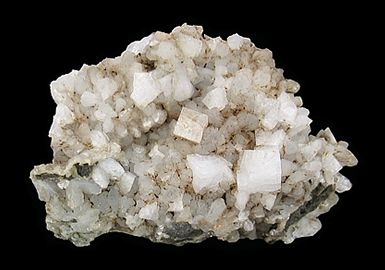 This specimen features white, translucent Chabazite crystals up to 1.2 centimeters on the edge. Also present on this specimen are many bundles of white-gray Stilbite crystals. Specimens from this sub-arctic locality are hard to come by and rarely offered for sale. 3.6 x 3.5 x 3.9 cm. 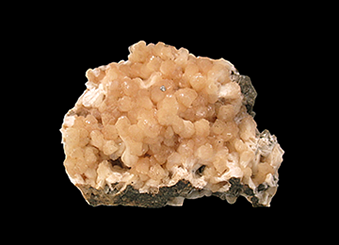 The Heulandite specimens are one of the first minerals that come to mind when one thinks of Fassa Valley. These Italian Heulandite specimens are quite hard to obtain now. 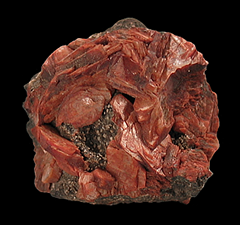 This specimen features chunky red-orange crystals of Heulandite on a “Melaphyre” Basalt matrix. 4.5 x 4.5 x 5.8 cm. A good-sized Phillipsite sphere in a vesicle in Basalt that is flanked on both sides by partial spheres of the same. These Phillipsite specimens were recovered in the mid-1980's by Volker Betz and rarely seen for sale. 4.1 x 4 x 3.1 cm. 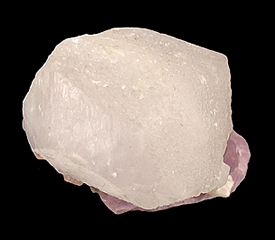 Pollucite is a very rare cesium-bearing Zeolite mineral. 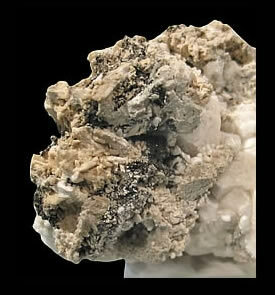 This Zeolite is most often found in granitic pegmatites as opposed to igneous deposits like most Zeolites. A curious feature of this specimen is that some of the crystal faces are smooth and some have been etched by hydrothermal fluids. One face has a partial crystal attached to it. The most remarkable thing about this specimen is that its matrix (which, at first I had thought was Lepidolite) consists of well-formed crystals of Amethyst, something I have not encountered before. 5 x 3.1 x 1.2 cm. On this specimen we have Chabazite crystals measuring to .5 centimeters on a graphic granite matrix. 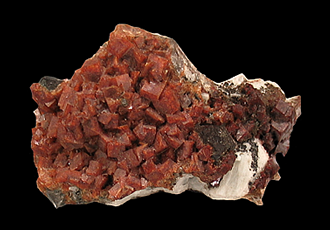 The Chabazite crystals on this specimen are 2 different colors; burnt-orange and deep-red-brown and against the white Feldspar matrix they make for a nice contrast of colors. Also present are several Smoky Quartz crystals.